The American TFP > Books > What Does Self-Managing Socialism Mean for Communism: A Barrier? Or a Bridgehead? 4. The Crossroads: What Is to Be Done Now that the SP Has Won? IV. Is this Interference in France’s Internal Affairs? THE FRENCH REVOLUTION at the end of the eighteenth century, the revolutionary tremors of 1848, the Paris Commune of 1871, and the ideological and temperamental explosion of the Sorbonne in 1968 were important milestones not only in the history of France but in the annals of the West as a whole. Indeed, these movements, each in its own way and in its own specific proportions, gave international expression to aspirations and doctrines some of which arose in France and others elsewhere, but all of which had germinated in that country with an altogether unique capacity to spread. The historical events thus generated in France encountered and put in motion, in the spirits of the various peoples of the West, aspirations, tendencies and ideologies whose rise marked their psychological, cultural, political and socio-economic development in the centuries that followed. Similar effects are now being felt from the unbloody but no less profound “revolution,” with its own chain of causes and effects, set in motion by the victory of the Socialist Party in last year’s May 10 elections and the consequent rise of Mitterrand to the Presidency. The crises affecting (in different degrees) communist and capitalist regimes are awakening all over the world tendencies and movements that boast of being especially modern and whose adherents believe that the clear, concise and victorious expression of everything, or nearly everything, they think and desire is inherent in the self-managing socialism now ruling in Paris. Naturally, this sets them on the way to achieving, in their own countries, similar successes to the profit and joy of international communism, of which self-managing socialism is but a trainbearer and fellow traveler. This analysis, by Prof. Plinio Corrêa de Oliveira, PLINIO CORRÊA DE OLIVEIRA was born in Sao Paulo, Brazil, in 1908. He received his doctorate in law from the Law School of the University of Sao Paulo. He is Professor of History of Civilization at the University College of the University of Sao Paulo and Professor of Modern and Contemporary History in the Colleges of Sao Bento and Sedes Sapientiae of the Pontifical Catholic University of Sao Paulo. From his early youth he has distinguished himself as an orator, lecturer and Catholic journalist. He wrote regularly for the Catholic weekly Legionário and now writes for the monthly Catolicismo and the large daily newspaper Folha de S. Paulo. One of the founders of the Catholic Electoral League, he was the Congressman who received the largest number of votes for the Federal Constitutional Convention of 1934. he was also President of the Archdiocesan Board of Catholic Action in Sao Paulo. His principal works are: In Defense of Catholic Action; Revolution and Counter-Revolution; Agrarian Reform: a Question of Conscience (in collaboration with other authors); The Church and the Communist State: The Impossible Coexistence; Unperceived Ideological Transshipment and Dialogue; The Church in the Face of the Rise of the Communist Threat—An Appeal to the Silent Bishops; Indian Tribalism: the Communist-Missionary Ideal for Twenty-First Century Brazil; I am Catholic—Can I Oppose Agrarian Reform? 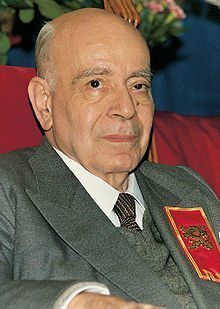 In 1960 he founded the BRAZILIAN SOCIETY FOR THE DEFENSE OF TRADITION, FAMILY AND PROPERTY (TFP) and has been President of its National Council ever since. TFPs and similar organizations were later founded in twelve countries in the Americas and Europe, inspired by Revolution and Counter-Revolution and other works of Prof. Plinio Corrêa de Oliveira. For the “man in the street” in most countries of the West, the French Socialist Party is, like so many others, the result of a mere combination of personal interests and ambitions centered around a party program accepted with varying degrees of conviction. This is easy to understand. World public opinion is informed about socialism mainly through television, radio and the press. The image, partly implicit and partly explicit, of the Socialist Party (SP) projected by the media is usually: a) an electorate consisting mostly of blue collar workers imbued in different degrees with the mentality of the party, but also including many middle class voters whose conciliatory socio-economic tendencies converge at one point or another with vague philosophical sympathies for a “philanthropic” socialism; b) a party leadership consisting. at least on the upper and middle levels, of professional politicians concerned above all with gaining power, and consequently accustomed to flexibility and daring, as well as to prudence and every compromise necessary for success. This general view of socialism is not very objective. It corresponds to the optimistic illusions of many political opponents of the SP, illusions which used considerably to the Party’s recent victory, and which have now placed the French voters of the center and the right at a critical pass. When observed without illusion or optimism, the SP manifests an unflagging and monolithic ideological character. It systematically deduces its entire political, economic and social program from the philosophical principles it accepts. And the complete and inexorable application of this program to every individual and every nation to France as well as to all mankind – is the final goal of the concrete action advocated by the Party. To what means does it resort to attain this gigantic objective? It gradually manipulates culture, science, man and nature by resorting to sophisticated tactics of dissimulation. When the Party comes to power, all State agencies become instruments for achieving this goal. According to the SP, while this must be done with the slow gradualism that circumstances almost always demand, it must be accelerated as much as possible. During this whole process, no word must be said, no step taken that does not have as its supreme goal the final anarchy (in the etymological sense) also desired by communist theoreticians. This character of the SP appears clearly in its official documents, in books by authors representative of its thinking and also in writings for internal circulation intended primarily for the training of its members. “Like it or not, to achieve that, it is necessary for the Socialist Party to appear as the animating force in the alliance. This takes nothing away from the role the Communist Party should play in it” (Program, p. 366). The communists understood their role very well. According to the Secretary General of the SP, Lionel Jospin, one and a half million communist voters (one fourth of the Party voted for Mitterrand in the first round of the presidential elections (cf. Le Poing et la Rose, no. 83, 5/30/81, p. 1)In 1981 this sense of consistency failed in many centrists and rightists of all ages,6 who, with a sometimes indolent or thoughtless tranquility, voted for Mitterrand. How could this have happened? But the failures of the right and the center did not stop there. Their lukewarm election campaigns lacked the dynamism and force de frappe indispensable for generating popular support. These elements were not lacking in the socialist-communist campaigns. This lack of dynamism, naturally more noticeable in the parliamentary elections, had yet another consequence: increased abstentions. In an election so decisive for the future of France and the world, no less than 10,783,694 voters (29.6707% of the electorate) abstained in the first round of voting. Significantly, the abstentions outnumbered the votes for the SP (9,432,537). The great loss in the final runoff was suffered by the center-right, whose total vote fell from 14,316,724 in the first round of the presidential elections (April 26) to 10,892,968 in the first round of the parliamentary elections (June 14) – a loss of 3,423,756 votes in this extremely brief period. Since between the two elections the number of abstentions increased by 3,900,917 and the total leftist vote increased only slightly in all likelihood most of those abstaining belonged to the center and the right. Many of them probably failed to vote because of party infighting, or simply to spend election Sunday the way they deemed most comfortable and entertaining. An illusion held by the non-voters that a victory by an undoubtedly leftist, but easygoing, party would not have dramatic consequences accounted in large measure for their critical non-participation in the electoral process. Another consequence of this optimistic view was that petty personal and regional considerations, as well as the excitement generated by Mitterrand’s victory, led many centrists and rightists to cast their ballots for the SP. This helped to bring about a shift similar to that which had taken place in the presidential elections. Everything leads one to believe that the greatest number of abstentions and largest leakage of votes must have occurred in the less rigidly organized parties, unless we were to imagine a SP or a CP softening its discipline or trying to outdo its centrist and rightist adversaries in abstentionist apathy. So the SP won, but its victory by no means indicates any increase in the socialist electorate, as skillful leftist propaganda around the world would have it. A comparison of the 1978 and 1981 parliamentary elections shows that the leftist vote remained practically unchanged: 14,169,440 in 1978 and 14,026,385 in 1981. (In both cases these are first round figures since, due to the peculiarities of the French electoral system, that is the only round in which comparisons are possible.) But since the number of eligible voters increased by 1,138,675 in this period while the total leftist vote stayed about the same, it is clear that the left’s share of the vote actually diminished. Thus, the left, which in 1978 had the support of 40.25% of the total electorate, now drew only 38.59% – far from a majority. It is clear that the recent victory of the SP was due less to a real strengthening of the left than to lack of interest and some dispersion in the center and right. As we will see later, this dispersion was partly due to the disorientation and fragmentation of a considerable portion of the Catholic electorate. If the socialist victory were due to an increase of specifically leftist voters, it might be very difficult to reverse. But since it was caused by disorientation in the center and the right, the situation is not irreversible; the SP’s victory of 1981 may be followed by its defeat in future elections. May these considerations be an encouragement to those who imagine that the advance of socialism is definitive and who, instead of making use of their political liberties to mount an orderly but fiery, unyielding and fruitful opposition, run to shake hands and collaborate with the victors. Thus they give up the fight to halt their country’s slide down the ramp of socialism (which they themselves call slippery) toward communism (which they recognize as fatal). Their explanation: the socialist victory is definitive – as though anything were really definitive in today’s unstable world. The fact is that now the SP has the Presidency. Even without the support of the 44 deputies of the Communist Party and 20 other deputies of small leftist parties, it has an absolute majority in the Chamber of Deputies, with 265 out of 491 seats. To reverse their losses, French centrists and rightists must select an effective strategy for dealing with the SP. To do this they must make explicit to themselves what the SP is. They must choose between the somewhat cosmetic image of an opportunistic and easy-going SP and the reality of an efficient SP leading a gradual but unwavering march toward total collectivism. The repercussions of the victory of the SP and the establishment of the socialist regime in France will increase the dynamism of socialist movements in other countries. In addition, the announced intention of the present French government to interfere abroad poses a similar question of strategy for the center and right in other countries. The victory of French socialism is already giving leftist politicians in Europe and the Americas the impression that their banner has suddenly acquired a new power to attract multitudes throughout the West. They imagine the electoral power socialism has shown in France to be much greater than it really is, and sparks of socialist enthusiasm are beginning to flare up in various nations. If the easy-going image of the SP is real, this situation is not a major threat. If, however, French socialism aims at precisely the same ultimate goals as communism, then it is necessary to enlighten and alert public opinion about it; for no one knows how far a leftist tendency in public opinion may go when manipulated by the revolutionary psychological warfare that Moscow wages so successfully all over the world. Doubtless, the more objective and true-to-life an image the public now forms of the SP, the faster and more appropriate its choice of strategy will be. While it is impossible to exhaust such a vast matter in this general summary, it seems timely to expose several characteristic features of the doctrine and tactics of the French SP so as to sweep away the optimistic illusions that may impede and slacken the fight against this grave danger. Every motto by nature should be substantial and precise. One of the trilogy’s more radical interpretations can be enunciated as follows: Justice demands that there be absolute equality among men. Equality alone, by suppressing all authority, completely attains liberty and fraternity. Liberty can have only one limit, namely, whatever is indispensable for preventing more gifted men from setting up for their own benefit any superiority of command, prestige or possessions. True fraternity characterizes the relations among entirely free and equal men. Inspired by interpretations of the famous trilogy, the successive revolutionary leaders from 1789 to 1794 came closer and closer to this radical enunciation. The French Revolution, so ostentatiously moderate in its beginnings, suffered clearly communist spasms during its last agony. As though repeating this revolutionary process in slow motion, the democratic world took – or is completing the process of taking – the political leveling of classes to its ultimate consequences, though it still preserves markedly hierarchical aspects in its culture and socio-economic regime. One can debate which events, places and dates marked the beginning, in the nineteenth century, of the principal movements for cultural and socio-economic leveling. But the fact is that by the middle of the century these movements had spread to many countries and had become solidly established in several, even to the extent of inspiring events such as the Revolution of 1848 in France and the Paris Commune of 1871. Furthermore, in our century they were clearly present among the profound causes of the Russian Revolution of 1917 and the consequent propagation of communist regimes in countries behind and beyond the Iron and Bamboo Curtains.8 This, not to mention all the communist revolutions and agitation which have shaken various parts of the world, including the explosion of the Sorbonne in May 1968. The SP’s platform in the latest elections is presented explicitly and even proudly as part of this general movement. It is the Project Socialiste pour la France des annees 80 (“Socialist Program for the France of the 80’s,” which we will henceforth refer to as the Program cf. footnote 1).9 Upon reading it one clearly verifies that its ultimate goal is complete equality, from which full liberty and fraternity will supposedly rise.12“Someone may say to me: You speak of self-management but fail to clearly define how it will work; you raise it as an abstract goal, a chimerical path toward a vague earthly paradise. That is true. But there is a reason for it. We do not want to build a new utopia so perfect on paper that it is impossible to achieve. 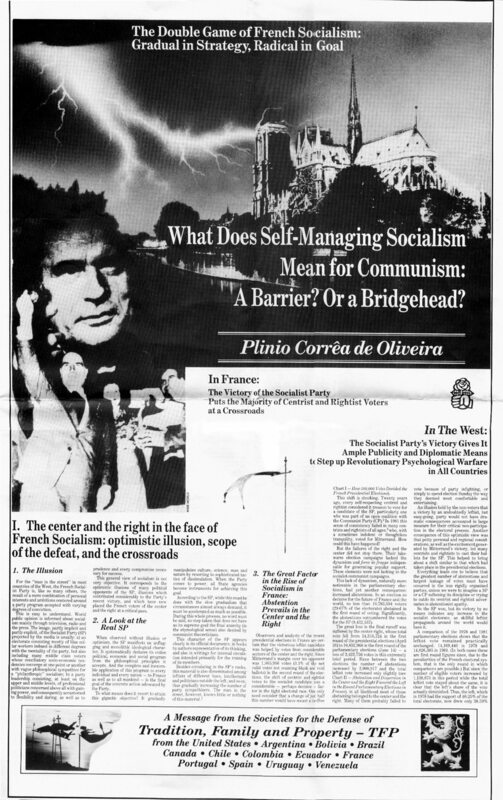 Self-management is a continuous and never completed work…In saying this we remain faithful to the spirit of Marxism: Marx never pretended that the end of capitalism would ipso facto entail the establishment of an eternally perfect regime” (Pierre Mauroy, Heriteirs de l’Avenir, Stock, Paris, 1977, pp. 278-279). A certain initial moderation of the French socialists in the transition to total equality is not the result of kindness, compassion or indulgence for a defeated adversary, but rather the consequence of a strictly utilitarian calculation made long before their victory. The whole Program appears to find in employer-employee relations a residual image of the relations between the king and the people. It aims to “dethrone” the “king,” eliminate his sovereignty in the business enterprise, and transfer all power to the “plebeians,” that is, the employees, and particularly to the manual laborers. The Revolution has employed various means to prevent the resurgence of different types of aristocracy in the political sphere. Similarly, the Program endeavors to prevent corporate managers and technicians from surviving as an aristocracy in “republicanized” firms. In “large” corporations the individual proprietor disappears immediately. The traditional concept of a business is itself broadened. Not only do those employed by a particular concern share real rights over the company and what it produces, but those rights extend, via representative organizations, to consumers, purveyors, and so on. In fact, these rights belong to society as a whole, represented by delegates of organizations or groups more closely related to the enterprise (see Chart – The Ideal Self-Managing Enterprise Proposed by the Socialists). Like a democratic republic, each company ultimately will be ruled by a voting majority of its workers. The company will hold assemblies to keep the workers informed about all of its business. “Representatives” or “deputies” will be elected to form a directorate (something like a soviet). The employee-managers will be mere executors of the directorate’s will. This system is defined as self-managing and affirmed as the logical socio-economic consequence of the people’s political sovereignty. According to this notion, a republic is a politically self-managing nation. A self-managing regime entails the “republicanization” of the socio-economic structure.21 In other words, it is the establishment of a corporate regime in which the orientation given by specialists and technicians is subject to assemblies and organizations made up mostly of people with less intellectual development. When it comes to reforming mankind, the Program runs into exactly the same difficulties encountered by statist communism. Although they may have lent themselves to abuse, the economic principles in force in the West emanate from human nature itself. In brief, the common characteristic of these principles is the affirmation of the legitimacy of private property, initiative and profit. The socialists, however, propose to establish another economic system directed toward other ends and stimulated by other incentives (cf. Program, p. 173). What they call profit only for some must be gradually replaced by the criteria of social utility, determined by the sovereign will of the people. In other words the socialists, like the communists, hold that the individual exists for society and should produce, not for his own good, but directly for the good of the community to which he belongs. Under this system, the best incentive for work disappears, production necessarily drops, and indolence and misery prevail in all of society. Every man seeks, both by the light of reason and by a continuous, powerful and fruitful instinctive movement, to provide first for his personal needs and those of his family. When self-preservation is at stake, the human intelligence fights more easily against its limitations and grows in both sharpness and agility The will overcomes laziness more easily and confronts obstacles and struggles with greater vigor. In short, the worker attains a level of productivity quantitatively and qualitatively commensurate with the real necessities and decorum of society. From this initial impulse imbued with legitimate love of himself and his own, a man’s love of his neighbor extends like concentric waves that should ultimately encompass society as a whole. In this way, far from benefiting only his small family group, his activity assumes a scope proportional to society. Socialism instills discouragement in every worker by abolishing this powerful and natural initial incentive to work and by replacing it with an increasingly egalitarian wage system that fails to reward the more capable proportionately. Here we stress the strength of incentive provided by inequality and the depressive effect of both general equal and microscopic inequalities. The wage ceiling in an egalitarian society will inevitably be equal for all, or only slightly unequal, as can be verified by comparing wage ceilings in communist countries with those in the West. By the very nature of things work capacity varies immensely from man to man. The overall productivity of a nation presupposes the full stimulation of all capacities, especially those of the extremely capable. The legitimate ambitions of the extremely capable can be almost unlimited in the socio-economic regime of the West. Once set in motion, they successfully stimulate the whole hierarchy of necessarily lesser capacities which also have before them proportionate possibilities of success. Once the rise of the very capable or the capable is limited, their productive drive decreases. Furthermore, when the very capable work below capacity, the capable also become discouraged, and the overall production level drops. Thus, egalitarianism necessarily leads to a production inferior to the sum of a country’s work capacities. The more radical the egalitarianism, the lower the level of productivity. Now, it seems that the ceiling allowed by the Program responds only to the modest aspirations of the average. Under self-managing socialism the family will become unstable and sterile, lose its identity, and be confounded with any other union. One of the walls supporting every individual’s personality will thus crumble. As we will see later, the Program also aims to deliver the entire educational mission so naturally proper to the family to a preferably monopolistic, secularist and socialist school system, and that from the child’s first years. So, all alone, cut off from the family (which is reduced in fact to a mere couple), man is left with only one environment, the self-managing enterprise, which is thus given the most favorable conditions to absorb him entirely, quite in the socialist style. To complete this absorption, a SP as totalitarian on behalf of the self-managing society as communism is on behalf of the Party, likewise strives to organize and utilize human leisure. In fact, the Program also covers leisure which, if unregulated, would be the last haven of human freedom in a self-managing world; for man finds in leisure singular possibilities to know and express himself, and to establish relationships and friendships. In a self-managing society the company organizes work-leisure in a totalitarian way. Who will organize leisure-work? In this field the establishment of strict regulatory organizations becomes necessary precisely because the SP aims to weaken and finally destroy the family, the preeminent natural ambience for true leisure. To this end the SP encourages the creation of neighborhood organizations and the like which are apparently expected to play a decisive role in the distribution of dwellings and the non-segregative reassignment of people to existing or planned neighborhoods. Moreover, it will even take care of the interior arrangement of the homes. d) the consequent absorption of this right by the planning authority. We turn now to the formation of children and youth. Self-managing education, according to the Program, begins no later than two years of age, when it is most desirable that the child be handed over to a pre-primary or nursery school. But complete preparations must be made to receive those children whose mothers choose to deliver them to socialist education at any age, even when newborn. Isn’t this educational network totalitarian? The Program tries to evade this embarrassing question by citing an education plan to be prepared democratically so that each and every one may be able to express his opinion. Supposedly, this plan would thus represent the will of all. On the basis of this sophistry, the socialists claim that the unified system of education is not a monopoly. Even though this system is unified, they contend that everyone is invited to participate in it. So how can anyone brand it a monopoly? Everything expounded up until now clarifies the global socialist meaning (and not merely the application to business, as many imagine) of the self-managing regime. It also brings out the gradualism of the SP’s strategy. Now let us analyze the self-managing enterprise in more detail. A reader conversant with today’s businesses may imagine that the application of the standards of political democracy to the economic and social life of self-managing businesses is more rhetorical than real. This is an illusion. As mentioned previously, the sovereign power deciding all important matters in the self-managing enterprise is really the workers’ assembly. This assembly will determine the organization of governing bodies and elect their members (an important detail: the Program does not speak of a secret ballot). At meetings, the governing bodies will apparently supply information and provide the opportunity for discussion, both of which will guide the voters in their choices. Their idea, it seems, is that each workers’ assembly will try to reenact somehow the direct democracy of the ancient Greek cities. Naturally, in certain matters these deliberations should be held in conjunction with consumers or clients and representatives of the community (see Chart – The Ideal Self-Managing Enterprise Proposed by the Socialists). Will private property survive in the regime contemplated in the Program? Beware. From the Program’s language one sees that if you question a French Socialist his answers may be very reassuring…and utterly empty. In current language, state property is distinct from private property.34 Therefore, from a certain standpoint the self-managing enterprise can be considered private, for its relationship to the State is distinct from that of a nationalized enterprise. The Program calls the self-managing enterprise “socialized,” that is, not belonging to the State (therefore private), but not belonging to any individual either, for in a general way the owner’s attributes will be transferred to the workers’ assembly. What determines what a small, medium, and large business enterprise is? We have notions about this matter based on common sense and in accordance with mental habits formed in the present order of things. But the new society does not fit these mental habits; it will generate other habits. So, the “size” of an enterprise will be determined by the law, and the State will be able to “gradually” pare down the amount of property a person may own.36 Within a few years enterprises now considered medium-sized will have to bear the severe taxation now imposed on large enterprises, and enterprises now considered small will be deemed medium-sized. As a result, the number of small private properties (now favored in the fiscal plan) will be ever more limited. Indeed, the Program’s gradualist strategy rejects the immediate extinction of all private properties but provides for stages leading to their gradual extinction. According to the Program. the self-managing regime will temporarily permit small, medium-sized and even large properties, but, to say the least, the latter two will be moribund categories. Who can say, considering the logic of its iron-fisted egalitarianism, that the self-managing State does not intend to eliminate small properties after it has done away with medium-sized and large ones? The Program is apparent much more in its goals than in the stages it allows or tolerates out of strategic necessity. In this perspective, how does rural property – that is, the small family-sized property – stand in a society molded by the SP? This question presupposes the previous elimination of large and medium-sized properties. Both the Program and the Declaration of the Government’s General Policy made by Prime Minister Pierre Mauroy are vague and ambiguous on this point. The Program proposes, measures that at first seem to be inspired by common sense and a desire to protect the farmer: increased productivity, organized markets, restoration of the farmer’s status and the guarantee of his land. The sole exception is a price-protection system for agricultural products which will almost certainly benefit only the small producers. Let the other producers, tolerated out of gradualism, survive as they can, or wither. When one considers what the Program as a whole lays down for the self-managing society, some questions come to mind: What is the essence of its inspiration? Is it really liberal? What does it say about religion? This is what we will see now. We have already seen that the SP plans to educate the citizen from the cradle to the grave, molding his soul at work and leisure, in culture and art, and influencing even the arrangement of his own home. How will this affect individual freedom? At this point what was said in the beginning about the relationship between and liberty and equality in the trilogy of the French revolution is confirmed. Indeed, if liberty means having nothing and no one above oneself, and consequently doing anything one wishes – for this is the radical and anarchical sense of the term – the self-managing citizen is only apparently free. But at no moment of his life will he be really free. The self-managing citizen will find the realm of his purely individual choices, in which he manifests the unique and unmistakable character of his personality, ever more restricted. Both at work and at leisure he will be free to become informed, to dialogue and to vote. But decisions will normally be made by the community. His freedom will be limited to saying what he wishes in public debates and to voting as he likes. As a voter, he is free to choose names and cast his ballot in the decision-making assemblies. As an individual, he is pushed by the Program to the very limits of nonbeing.40 This is not done directly by the State, but rather by a social fabric or mechanism comprising business and non-business self-managing groups. The real power structure in the self-managing society starts out from the assemblies, moves up through the committees and other agencies of society until it finally reaches the State – that is, until self-management heads for the final dissolution of the State and the distribution of its powers to small, autonomous communities.41 The worker could envision the power structure in the shape of a diamond. At one end is his own company, in which he is a speaking and voting molecule. At the opposite end is the State. But the State would be at the top of the diamond and the workers’ assembly at the bottom. We are not suggesting here that self-management, once established, would be a mere façade behind which the State would manipulate everything. That could happen. But we are not discussing the deformations that a self-managed society could suffer once established. We are only considering what the genuine socialist mirage would be if applied in its entirety. c) In the societies of the West, the State does not exercise such ample powers. Countries in both East and West have generally adopted the principle of the sovereignty of universal suffrage. But in the West this sovereignty is self restrained by the recognition of greater or lesser individual liberties. In the East the principle of government by the people has no practical value, and it is clear that it will have none in the self-managing society, where the liberty of the individual is restricted to speaking and voting in the assemblies. In a word, the self-managing society has its own morality and its own philosophy,42 which the robotized worker will inhale even in the air he breathes. The self-managing society does not confine itself to eliminating or restricting the individual’s liberties but, as we have seen, it even seeks to form his very conscience. The Program implies such a global vision of society that it necessarily presupposes – although not explicitly – a global vision of the Universe. For the Universe is, in a certain way, the context of society. A global, laicist and self-sufficient society corresponds to an analogously global, laicist and self-sufficient universe. In turn, a vision of the Universe implies either an affirmation or a denial of God, a denial perfectly real even though expressed by silence.45 The Program is therefore “atheist,” without God. It is licit to ask whether or not the Program’s silence about God is merely a “gradualist” stage leading to some kind of a plausibly evolutionist pantheism. The reference to evolutionism is, in turn, related to the arbitrary, anti-natural and artificial character of socialist reformism, and even more closely related to the fundamental relativism that it holds.47 On the basis of very obscure philosophical concepts with whose influence it is nevertheless thoroughly permeated, the Program denies most fundamental principles of the natural order (such as the distinction between the mission of men and women, the family, marital authority, patria potestas, as well as the principle of authority at all levels and in all fields, private property and the right of inheritance). The Program, warring against the work of the Creator, aims at reconstructing a human society diametrically opposed to the God-given nature of man. All of this presupposes that nature, which the SP holds to be indefinitely malleable, can be molded by man as he wishes. This is suggestive of evolutionism. Considering these facts – and there are so many more in today’s world – one better understands how true it is that the Holy Church finds Herself as Paul VI noted, in a mysterious process of “self-destruction” (Allocution of 12/7/68) and penetrated by the “smoke of Satan” (Allocution of 6/29/72). The elections of a chief of state and representatives to the Chamber of Deputies are internal affairs of each country. Freedom to do this without foreign interference is a fundamental element of its sovereignty. So, an objection could be raised: How can thirteen associations, twelve of them from countries other than France, judge that they should publish throughout the West a commentary whose essential theme is the recent French elections with the object of fostering the choice of a strategy in view of their outcome? This objection is conceivable only in someone unaware of the full scope of the Socialist Program, of the nature of the French SP and of the inevitable and extensive repercussion of the socialist victory in the political and cultural life of the various nations of the West. The Program actually states that one of its goals is interference in the internal politics, and more particularly in the class warfare, of other countries. Therefore, since the SP has risen to power, we must fear that it will use the resources of the French State and France’s international influence to achieve this goal.52 Thus, for the twelve foreign associations to take a position alongside the esteemed and promising French TFP on the goals and action of the SP in a document published in France and in their respective countries, is not to interfere in exclusively internal affairs of another country but rather to take precautionary action to safeguard the future of their own countries. By publishing this pronouncement, the TFPs and similar associations of the United States, Argentina, Bolivia, Brazil, Canada, Chile, Colombia, Ecuador, Portugal, Spain, Uruguay and Venezuela, in conjunction with the TFP of France, are doing nothing more than exercising their legitimate right of self-defense. It is therefore appropriate for associations from twelve Western countries to address their fellow-countrymen, alerting them to the problems that can be expected from the rise of the French Socialist Party. It is also proper for these associations, with the support of their French brothers-in-ideal, to make the French people aware of the internal complications into which Socialist Program’s predominantly ideologico-imperialistic approach to international politics may entangle them. Providence has conferred on France such a position among the nations of the West that issues and debates arising there are, more often than not, related to universal problems. The French genius, agile in coming to grips with problems, lucid in thinking, brilliant in expression, has shown in numerous historical junctures that it knows how to discuss these issues on a level that relates them to the universal thoughts of the human mind. Thus, in dealing with France’s current situation, the societies signing this Message clearly realize that many issues presently in varying stages of fermentation in their own countries may be hastened, or even thrust, to a critical point as a consequence of the worldwide repercussion of what may happen in France in the coming months (cf. Chap. 1, no. 4). This is one more reason to affirm that self-managing socialism represents a grave threat not only to France but also to the whole world. Confirmation of State secularism — marriage put on the same level as cohabitation — complete sexual freedom — “rehabilitation” of homosexuality — unrestricted access to free contraceptives — freedom of abortion for both adults and minors — the gradual death of private education — State education starting at age two. Nationalization of large and medium-sized companies — progressive socialization of rural life — the “self-managing way” — the workers’ assembly, the supreme power in every company — the rule of managers and technicians in self-managing enterprises: to obey — class warfare — consumer participation in the management of business. The self-managing model for the family: self-managing children, class struggle against parents — for the school: self-managing students, class struggle against teachers. Self-managing society molds a new type of man: agnostic — with an anti-Christian morality — with a very low ceiling on individual advancement — subject in everything to the majority in committees in which he also votes — committees which “help” him by planning even his leisure, entertainment and home decoration. The radical application of the trilogy Liberté — Egalité — Fraternité: levelling of social classes — dissolution of the State — a galaxy of micro-communities — the overthrow of monarchy complete only when there are no corporate owner-managers left in France. Socialist self-management: an international goal to whose service the Socialist Party has vowed to commit the government, wealth, prestige, and worldwide influence of France. We close these considerations beseeching Our Lady, the Mediatrix of All Graces, to confirm with events the words of prophetic resonance of the holy and unsurpassable Pontiff Saint Pius X concerning France: “A day will come, and we hope it is not far off, when France, like Saul on the road to Damascus, will be enveloped in a celestial light and hear a voice that repeats to her: ‘My daughter, why dost thou persecute me?’ And to her response, ‘Who art thou, Lord’ the voice will reply: ‘I am Jesus, whom thou persecutest. It is hard to thee to kick against the goad, because in thine obstinacy thou destroyest thyself.’ And she, trembling and filled with wonder, will say; ‘Lord, what wouldst thou have me do?’ And He: ‘Arise, wash away the stains that have disfigured thee, awaken in thy breast the dormant sentiments and the pact of our alliance and go, first-born daughter of the Church, predestined nation, vessel of election, go as in the past, bear my name before all the peoples and the kings of the earth” (Consistorial Allocution Vi ringrazio, of November 29, 1911, in Acta Apostolicae Sedis, Typis Poliglottis Vaticanis, Rome, 1911, p. 657). “In the end my Immaculate Heart will triumph,” Our Lady promised at Fatima. This is what we ask Her for France and for the world. On the 64th anniversary of the last apparition of Our Lady at Fatima. Published in The Washington Post on December 9, 1981. This characterization of the SP is thoroughly documented. The French Socialist Party as it is today arose from the Congress of Epinay in 1971. Since then the new political organization has been publishing diverse official documents having to do with ideology and programs. Such publications are made especially, during its national congresses (held every two years) and election campaigns. To these are added a significant number of internal publications intended for the formation of its members or adherents, or for making known the conclusions of the Party’s several meetings and seminars. a) The Projet socialiste pour la France de années 80 (“Socialist Program for the France of the 80’s”) (Club socialiste du Livre, Paris, May 1981, 380 pages) presents the ambitions of French socialists for the next ten years. The Program redefines socialist priorities and announces beforehand the principal undertakings for which the SP’s action will be known to the French people. It should be noted that it does not abrogate the previous texts and programs of the Party (which will be referred to below). 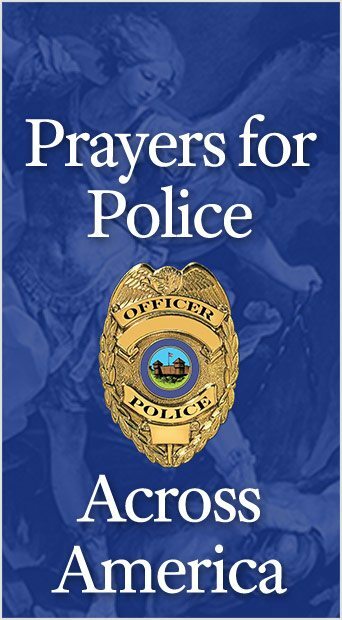 Rather, “it prolongs them to broaden at the same time their field of action and their scope” (p. 7). In the Party’s national convention held in Alfortville on January 13, 1980, the Program was approved by 96% of the votes. The Manifesto of Créteil, of January 24, 1981, as well as the 110 Propositions pour la France, which appeared along with it, took their inspiration from the Program. On the basis of these two documents, unanimously approved in the Congress of Créteil, the Socialist Party launched Mitterrand’s presidential campaign. (cf. Le Poing et la Rose, no. 91, February 1981). b) In 1972, the SP and the CP started negotiations to establish a binding agreement for a common policy for their government. This gave rise to the Programme commun de gouvernement de la gauche (“Common Program of Government of the Left”), which was valid for five years. In 1977, since the two parties had not reached an understanding for the renewal of the agreement, the SP updated this Common Program on its own. Early in 1978, during the election campaign, the SP published the updated program in order to give public opinion “the possibility of seeing for themselves” what the Party would do if it were to win the elections, as well as to permit “everyone to follow its application” (Le Programme commun de gouvernement de la gauche – Propositionis socialistes pour l’actualisation [“Common Program of Government of the Left – Socialist Proposals for Updating”], Flammarion, Paris, 1978, 128 pages, with a preface by François Mitterrand, p. 3). c) Finally, the Quinze théses sur l’autogestion (Fifteen Theses on Self-Management), adopted by the national Convention of the Socialist Party on June 21 and 22, 1975, (cf. Le Poing et la Rose, supplement to no. 45, November 15, 1975, 32 pages) are of particular interest since in them the French socialists present the perspective of a self-managing society as “the SP’s own contribution, for the moment on the theoretical plane, to the history of the workers’ movement” (Documentation Socialiste, Club Socialiste du Livre, supplement to no. 2, no date, pages 42-43) and claim to have given a new content to the idea of self-management (idem, no. 5, no date, p. 58). With these documents, the SP considered that it was giving the ordinary reader a sufficiently broad set of notions to gain his rational support and vote. Therefore they make up, so to speak, the SP’s self-portrait, a portrait whose fidelity cannot be questioned since one must presume that a movement that has just won such an adroit strategic victory is able to define itself. Furthermore, the socialists definitely assume responsibility for what they publish. One reads in the Program: “We are the only ones to take the risk of expounding our tenets in black and white, and to do so in print…we show ourselves just as we are” (p. 11). Once in office, Socialist Prime Minister Pierre Mauroy presented a Déclaration de ploitique généraldu Gounvernement (“Declaration of the Government’s General Policy”) in the session of the National Assembly of July 8th. In this Declaration and in the parliamentary debate that followed, the Prime Minister confirmed the general line of the Program, thereby also making important contributions, to the definition of the SP from the standpoint of ideology and program (cf. Journal Officiel, “Débats Parlementaires,” 7/9/81 and 7/10/81). Furthermore, the Prime Minister expressly affirmed on that occasion that he had obtained “from the council of ministers authorization to officially commit the government to this Declaration of General Policy, according to article 49 of the Constitution” (Journal Officiel, 7/9/81, p. 55). † Reference to these documents in this work will be as follows: “Program,” “Common Program – Proposals for Updating,” “Fifteen Theses,” and “Declaration of General Policy” respectively. The emphases in the quotations are ours. Translator’s Note: As will be seen on reading this work, the “Socialist Program for the France of the 80’s” (Project socialiste… ) is much more than a mere program of a political party. It encompasses a complete reform of human society and even of man himself. This is expressed well by the French word Projet, which has no suitable equivalent in English. Our word Program although it can be understood in a broad sense, also has a more restricted meaning, corresponding to a short or medium term plan of action. This is the case, for example, of the above mentioned “Common Program of Government of the Left.” Thus, the reader must keep in mind that the word “Program” used in this translation to designate the “Socialist Program for the France of the 80’s” must always he understood in its broader meaning. The references to the right in this work do not include the traditionalist French right, which often has a Catholic inspiration and whose presumable action in the elections of 1974, 1978 and 1981 is difficult to ascertain and therefore difficult to access. “Such, in short, is the theory – we might say the dream – of the Sillon”(Acta Apostolicae Sedis, Typis Poliglottis Vaticanis, Rome, 1910, vol. II, pp. 613-615, English translation from The American Catholic Quarterly Review, Oct. 1910). Therefore, St. Pius X follows in the wake of his Predecessors, who ever since Pius VI had condemned the errors suggested by the motto of the French evolution. “Where then, is this freedom of thought and action that thc decrees of the National Assembly attribute to man in society as being an immutable right of nature itself?…Since man right from his infancy is obliged to be subject to his elders in order to be governed and instructed by them, and to order his life according to the norms of reason, of human nature and of Religion, then it is certain that this much trumpeted equality and liberty among men is null and void from the moment of birth. ‘Be subject of necessity’ (Rom., XIII, 5). Therefore, so that men might gather in civil society, it was necessary to constitute a form of government in which the rights of freedom would be circumscribed by laws and by the supreme powers of those who govern. Whence follows that which St. Augustine teaches with these words: ‘It is therefore a general agreement of human society to obey its kings’ (Confessions, book 111, chap. VIII, opera, ed. Maurin, p. 94). This is why the origin of this power should be sought less in a social contract than in God Himself, author of what is right and just” (Pii VI Pont. Max. Acta, Typis S. Congreg. de Propaganda Fide, Rome, 1871, vol. I, pp. 70-71). “These most perverse philosophers go on to dissolve all links by which men are bound together and to their superiors and by which they are held to the fulfillment of their duties. They cry and proclaim ad nauseam that man is born free and subject to no one, and that therefore society is nothing more than a group of stupid men whose imbecility bows to priests (who deceive them) and kings (who oppress then); in such a manner that concord between priesthood and empire is nothing but a monstrous conspiracy against man’s innate liberty.” And he went on: “These boastful protectors of mankind have linked this false and lying word Liberty with another equally fallacious word, Equality. That is, as though there should not be among men gathered in civil society, on account of the fact that the are subject to varied states of mind any move in differing and uncertain ways, each according to the impulse of his desire, someone who by authority and force would prevail, oblige and govern, as well as call to their duties those whose conduct is disorderly, so that society itself not fall under the rash and contradictory impetus of innumerable passions into anarchy, and dissolve completely. It is like harmony, composed of the consonance of many sounds and which, if not made up of appropriate balance of chords and voices, dissolves into disorderly and completely dissonant noises” (Pii VI Pont. Max., Acta, Typis S. Congreg. de Propaganda Fide, Rome 1871, vol. II, p. 26-27). In addition to the countries inside the Iron and Bamboo curtains, communism has also been implanted in: North Korea (1945), North Vietnam (1945), Guinea (1958) Cuba (1959), South Yemen (1967), Congo (1968), Guyana (1968), Ethiopia (1974), Guinea-Bissau (1974), Benin (1974), Cambodia (1975), South Vietnam (1975), Cape Verde Islands (1975), Santo Tome and Principe Islands (1975), Mozambique (1975), Laos (1975), Angola (1975), Grenada (1979), and Nicaragua (1979). The leftist governments which have been in power in Afghanistan since 1978 gave rise to strong popular reactions which prompted Russian troops to enter the country the following year. Nevertheless, the anti-communist guerrillas control most of the country. One should also keep in mind the more or less disguised Marxist governments in power in various parts of the world. “There have been privileged moments in our history which remain engraved in the collective memory: [the revolutions of] 1789, 1848, the Paris Commune, and more recently the Popular Front, the Liberation [from the Nazi occupation] and May 1968 ”(Program, p. 157). “– But…there are so many features that make it clear that the Eastern societies have nothing to do with socialism. “This is why, even if the values they affirm are those of socialism (and this, by the way, is important), we cannot consider the Eastern societies ‘socialist’ societies. The existence of different social classes and the maintenance of a coercive State apparatus…are inherent to the very relations of production” (Program, pp. 67-69, 7 1).11 True, it calls the total suppression of authority utopia. But it implies that this utopia is not a void beyond which one plunges into the chaos of anarchism. On the contrary, it views it as a horizon toward which one must ever reach, using every means to come as close as possible to the unattainable, that is, the suppression of an evil deemed necessary but so unpleasant: authority. “The crisis of authority is one of the most important dimensions of the crisis of advanced capitalism. [The Sorbonne Revolution of] May 1968 in France was the most spectacular revelation of this. The schoolmaster, the employer, one’s father, one’s husband, one’s superior, whether greater or lesser, whether they have or want to acquire historic status: Here are the enemies from now on. Every [exercise of] power is more and more resented as manipulation… Anyone with the least authority is for that very reason contested, if not discredited. In the eyes of the Socialist Party the existence of this crisis is a positive development…provided that it goes all the way to its final term: the coming of a new democracy.” (Program, pp. 123-124). “One thing is certain: We will not turn back; the traditional forms of authority will not be restored. And that is true particularly in the family; the contraceptive revolution, for example, has created conditions for a new equilibrium of the couple.” (Program, p. 125). “The Socialist Program is a global and radical program for the reorganization of society, even if it has to be gradual” (Program p. 121). “Whatever field one considers, the application of self-management has no meaning if not within a global perspective” (Program, p. 234). “The Socialist Program is fundamentally a cultural program…culture is global. That is, it … has to do with all sectors of human activity” (Program, p. 280). “Let us declare right away that we consider as ours, by right of inheritance, the heritage of the political democracy inaugurated by the bourgeois de robe at the time of King Louts XVI” (Program, p.15). “The self-managing perspective gives meaning to the workers’ struggle to control their own work…sometimes confused struggles, which multiplied after May 1968, but witch echo a long tradition, a moral and material requirement that was once fulfilled in the Commune. Finally, it is enriched by the specifically French tradition of the citizens’ accumulated responsibility, a responsibility whose bearers were the revolutionaries of 1789-1793 and 1848. The self-managing program as conceived by the SP is inseparable from the full blossoming of individual and collective liberties” (Documentation Socialiste, supplement to no. 2, p. 43). The difference between the SP on one hand, and the center and right on the other is that the latter two – for the most part – accept the trilogy, but not with the radical interpretation of the SP. Thus, instead of expressing the desire to reach the ultimate egalitarian goal, they say or imply that they would like to stop at some undefined distance from it.16Our general references to the right do not include the traditionalist French right, which goes much farther in its rejection of the trilogy. “The socialists hold neither these willful solutions of leftism nor the reformists’ policy of little steps, nor the myth of the union of populism” Leftism is that particular form of willfulness called maximalism which consists in wanting to skip the intermediate stages to reach the maximum all at once. Maximalism disdains and rejects transitional measures and jumps right into complete socialism. It confuses the final objective with intermediate reforms” (Documentation Socialiste, no. 5, pp. 32-33). “I refuse to enter the debate between reform and revolution. That is a purely formal discussion, because he who accepts temporary improvements in the condition of the workers is a reformist, and he who deems necessary a fundamental change of society, a revolutionary. The French unions and the large French workers’ parties have always admitted this [distinction]; they make it the basis of their everyday policy . They do not play the irresponsible game of ‘all or nothing’ … (Pierre Mauroy, Heritiers de l’Avenir, p. 274). “The real significance of May 1968…is that the transformation of society requires a program aiming at all that can possibly be accomplished. To change society…is to reject the illusion of a revolution that would be an instantaneous upheaval. There is neither instantaneous upheaval nor a quick and definitive solution. It is necessary to work on a long term basis, following a line that I would call ‘tough reformism’. “For us, revolution is the gradual change of the structures of the existing system” (ibid., p. 295-296). “The notion of self-management…is at the crossing of ways between scientific socialism an utopian socialism (for which Marx and Engels had more than respect, even though they criticized it)” (Documentation Socialiste, supplement to no. 2, p. 42). “Today…it is harder and harder to build socialism on a centralized model. Socialism must set other goals for itself. Departing from collective ownership of the principal means of production and from planning, the self-management program is the inversion of the logic that up until now has characterized the evolution of industrial societies (“Fifteen Theses, p. 6). “This program of self-management gives a new content to the notion of social utility. Breaking away from an excessively ‘economic’ view of socialism, it is not limited to the field of production. It attacks immense socio-cultural problems…The program of self-management links its egalitarian goal…to the implementation of democratic mechanism which will once again permit calling into question…the social division of labor” (“Fifteen Theses,” p. 11). “French democracy is large manipulated. It is also carefully limited. It stops at the threshold of the company.” (Program, p. 231). “We are determined to promote a decisive progress of economic and social democracy. The French, citizens in their communities, must also be such in their places of work. Employers should neither fear nor oppose this desirable and necessary evolution” “Declaration of General Policy p. 49). “In our Western societies, democracy is more or less tolerated everywhere, except in business. Whether the employer is an independent industrialist or a high ranking government official, he holds the essential powers to the detriment of all…A business is a monarchy with a pyramidal structure. At every level the representative of the hierarchy is all-powerful; his decisions are final. The simple worker becomes a powerless man entitled neither to speech nor initiative” (Pierre Mauroy, Heritiers de l’Avenir, p. 276. “Economic democracy and political democracy are indissociable; their joint development requires that every worker, every citizen have, at all levels, the possibility and the means of taking an active part in making decisions, choosing the means, controlling their application and results” (“Common Program – Proposals for Updating, p. 50) “Economic democracy and social democracy are indissociable from political democracy ” (Documentation Socialiste, supplement to no. 2, p. 145). “The socialists want the French to stop being under tutelage. Decentralization will be the heart of the experiment of the government of the left, which, during the first three months of its accession to power will undertake the most significant reform of these uncertain times giving the power to the citizens. Finally the Republic will be liberated from the monarchy” (Pierre Mauroy, Heritiers de l’Avenir, p. 295). “For man to be liberated from the alienations that capitalism imposes on him, for him to cease being an object … it is necessary that he rise to [positions of] responsibility in businesses and universities, as well as in communities at all levels” (Party Statutes, Declaration of Principles, in Documentation Socialiste, supplement to no. 2, p. 48). “A global and decentralized strategy of educational and cultural action…is a decisive dimension of our struggle for self-management. It is one of the first conditions for making the change of mentalities possible…[Self-management] will bring about a change in current conceptions of the family and the role of women” (“Fifteen Theses, ” p. 21). This negative psychological effect is intrinsic to self-management. However, this does not mean that each and every self-managing undertaking will fail. In one exceptional case or another, this effect of self-management may be counterbalanced or attenuated by psychological or other factors. But such sporadic exceptions are by no means sufficient to form a stable foundation for all the business undertakings of a whole nation. “While considering that the family plays a very important role in the possibilities of expanding personal life, the Socialist Party certainly the existence of other forms of private life (celibacy, free unions, unwed fatherhood or motherhood, and communities). Finally, it takes its stand against repression or discriminations affecting homosexuals. Their rights and dignity must be respected. “It is not for it [the SP] to legislate on how each one wants to run his own life,” (Program, pp. 151-152). b) At the request of the homosexuals, the Minister of the Interior gave orders to eliminate the branch of the Paris Police called “groups for repression” of homosexuals (consisting of inspectors in charge of controlling homosexual establishments, especially to ensure that closing hours are obeyed) and the files on homosexuals (whose existence, by the way, the police department absolutely denies – cf. Le Monde, June 28 and 29, 1981). “The poor diffusion of contraception methods, the conditions restricting voluntary interruption of pregnancy and the poor application of the Veil Law (on abortion) are such that the majority of women do not have control of their own sexuality, nor of their maternity…Putting an end to this situation means having sexual education in the schools and unrestricted access to free contraception ” (Program. p. 247). “Work is not the only thing in life. The creation of the Ministry of Free Time is a great ambition for bringing it about that free time for living, the liberated time. The society of free time must be a society of culture…” “Cultural expansion will be one of the tasks of local communities” (“Declaration of General Policy,” pp. 82-83).”The current separation between work and free time will itself be questioned…The socialist enterprise will thus evolve into forms of life more and more communitarian in their core…as well as in their periphery (social services, leisure, culture, formation, etc.) (Program, p. 158). “Let us cite, for example the possibility of common use of household utensils, appliances or certain leisure gear…Likewise, a systematic effort will be made to transform and enliven the urban environment to make it more communitarian and to improve the conditions of collective housing. A considerable effort will be made to render the latter as attractive…as row houses, which are great consumers of space and energy” (Program, p. 177).”The associative movement will be the privileged support of the new citizenry, particularly to give value to free time…it will be for us especially to erase social segregation in the realm of free time. We will undertake…the development of social forms of leisure and tourism” (“Declaration of General Policy, p.151). “So, another way of living is: “- first of all to seriously modify the content of work so that eventually the distinction between work and leisure will no longer have the same meaning that it does today. But while it is true that this goal can only be achieved, first and above all through the transformation of work, the socialists must also propose a parallel transformation of leisure…” “But it is necessary to delve more deeply into the other concepts of leisure: “- leisure after the workday, close to one’s home or in the home itself, will permit a progressive establishment of new rhythms of life and a change of daily life. This will necessitate, for example, developing light collective equipment for various uses. Such leisure is one of the means of having a familial, cultural and militant life: “weekend leisure…” “leisure after retirement…” “No doubt the content of free time will also be profoundly modified by the proposals made for other fields: the school, continued education, family, decentralization, associative life, sports, the media, health and consumption. They will progressively permit making free time a self-managed time. In any case, there must be room in the Socialist for a free time conceived s one that breaks loose from restraints and permits everyone to expand, be it by individual effort or by participation in collective activities,” (Program, pp. 307-309). “…a global conception of social life in which the time of education, the time of work and the time of leisure are no longer considered isolated moments of individual and collective existence by rather as elements of a consistent ensemble” (Program, p. 289). This “consistency,” of course, will not be that of the poor “self-managing” worker but rather that of the SP. This is the “paradise” of liberty and democracy of the self-managing socialist regime. “The Cadre de vie [“frame of life,” in the sense of all ambiences, activities and relationships surrounding people’s lives] is part of those new concepts which appeared in the 60’s, bursting forth in May 1968…this vast concept, which encompasses so many things, ranging from the environment and transportation to urban renewal and architecture and even an all-too-often forgotten free time, has never been define in its entirety…”The cadre de vie cannot be isolated and cut off from economic and social realities. What frame for what life?” One sees well that the answer is a political and global one. It is by changing life, especially at work, that one changes the cadre de vie” (Francois Mitterrand, preface to the book, Changer le Cadre de vie, by Jean Glavany and Philippe Martin, Club Socialiste du Livre, Paris, 1981, p. viii.) “It is necessary to put an end to one of the most inadmissible segregations: The cities…are becoming more and more cites of the more affluent while suburbs of the poor. It is necessary to make the city become, in an exemplary way…a place where the different social milieux will rub shoulders with one another” (Pierre Mauroy, Debates on the declaration of General Policy, Journal Officiel, 7/10/81, p.81.) “To make Frenchmen once again masters of their daily lives is also to involve them in the building and managing their cadre de vie…Local communities will rule the real estate markets, which means the end of speculation, and will be able to carry out voluntary town planning…We will give the inhabitants full powers over their own cadre de vie. Living conditions and cadre de vie will be the promised land of the new citizenry” (Declaration of general Policy, ” p. 51). “The government will take the necessary measures to make it possible for all children from two to six years of age to have access to nursery schools…It will experiment with the organization of child care centers accepting infants from birth to six years of age” “Common Program – Proposals for Updating,” p.30). “Child-care center…will be key piece in the initial system. This is the stage where the struggle against social inequalities and segregations begins”(ibid., p.2870). “The fight for equality begins in the nursery [school]” (ibid., p. 311.) “But how can the democratic sense, today anesthetized, be awakened? First through the school, conceived as the place par excellence for apprenticeship in self-management” (Program, p. 132.). “Tripartite management – parents and children, staff, and public collectivities [sic] – must liberate initiatives and permit after free discussion. the definition and evaluation in common of the goals and responsibilities which it entails for each person…The spirit of responsibility demands…the disappearance of prior hierarchical control” (Program, p. 286). “The basic liberties in schools and universities, as well as in the army, are equally part of the requirements of the Socialist Program: freedom of expression and assembly in the schools, high schools and universities; socio-educational homes run directly by high-school and college students; effective participation of the students in the life and management of their school; right of class representatives to participate in every class council and of the students to attend them; right of the students to participate in the physical organization of their high school or college…student control of the organization of the university and of the curricula…the establishment of a real student statute” (Program, p. 314). “The Socialist Program recognizes the child’s full place in society: equality, liberty and responsibility are not reserved for adults. The rights to expression, creative activity, and decision-making must be recognized from one’s schooling on” (Program, p. 311). “Youth also has a specific place: [in modern society] it is under tutelage…No matter what social class they belong to, youngsters have no real responsibility whatsoever and little control over their own lives. There is a considerable gap between their capabilities and what they are now entitled to do in society” (Program, pp. 311-312). “Within the family, the right of youngsters to be themselves means: the possibility for a young person to appeal a decision concerning him (relative to his choice of course or profession, the way he lives … ); the democratization and development of youth homes for young people in conflict with their families;…the facilitation of apartment rental for young people…the free right to contraception and the elimination of parental consent for minors’ voluntary interruption of their own pregnancies, a considerable development of sexual education in schools. and a revision of systematically repressive attitudes concerning the sexuality of minors”(Program, pp. 313-314). “…generous and aggressive conception of the socialists for [bringing about] a great, unified, laicist and democratically-managed public education service” (Program, 284). “The government will set the goal of establishing a single and exclusive body of teachers for all disciplines encompassing the whole schooling from nurse school through grammar, secondary and professional schools” (Common Program – Proposals for Updating, p. 35). “All parents may have the religious or philosophical education of their choice given to their children off school premises and without the assistance of public funds” (idem, p. 32). “All sectors of initial teaching and an important part of continuing education will be consolidated in one national and laicist public service controlled only by the Ministry of National Education. “The establishment of a public service of national education will be dealt with starting in the first session of the legislature…As a general rule, state-assisted private schools will be nationalized whether they be employer-sponsored, for profit, or religious…Necessary transfers of premises will exclude any spoliation. “The situation of premises or staffs of private schools not receiving public funds may be the object, at their request, of a survey in view of their eventual integration” (Common Program – Proposals for Updating, pp. 31-32). “The original acquisition of property takes place by first occupation and by industry, or, as it is called, specification. This is the universal teaching of tradition and the doctrine of Our Predecessor, despite unreasonable assertions to the contrary, and no wrong is done to any man by the occupation of goods which are unclaimed and belong to nobody. The only form of labor, however, which gives the working man a title to its fruits is that which a man exercises as his own master, and by which some new form or new value is produced” (Acta Apostolicae Sedis, Typis Potyglottis Vaticanis, Rome, 1931, vol. XXIII, p. 194). “Thus, the right of ownership, which we have shown to be bestowed on individual persons by nature, must be assigned to man in his capacity as head a family. Nay rather, this right is all the stronger, since the human person in finally life embraces much more. “It is a most sacred law of nature that the father of a family see that his offspring are provided with all the necessities of life, and nature even prompts him to desire to provide and to furnish his children, who, in fact reflect and in a certain sense continue his person, with the means of decently protecting themselves against harsh fortune, in the uncertainties of life. He can do this surely in no other way than by owning fruitful goods to transmit by inheritance to his children” (Acta Sanctae Sedis, Vol. XXIII. p. 646). “It is for this reason that Catholic social teaching, besides other things, so emphatically champions the right of the individual to own property. Herein also lie the deeper motives why the Pontiffs of the social encyclicals, and also We Ourselves, have declined to deduce, directly or indirectly, from the labor contract the right of the employee to participate in the ownership of the operating capital, and participate in decisions concerning operations of the plant (Mitbestimmung). This had to be denied because behind this question there stands that greater problem – the right of the individual and of the family to own property, which stems immediately from the human person. It is a right of personal dignity; aright, to be sure, accompanied by social obligations; a right, however, not merely a social function” (Discorsi e Radiomessaggi di Sua Santita Pio XII, vol. XIV, p. 314, English text from The Catholic Mind, Jan. 1953). From this standpoint, public property is distinguished from private property. The former normally consists of the goods that the State has for accomplishing its mission. Without exceeding its specific function, the State also may possess and administer something for the common good, as for example, when it takes over the exploitation of an underground resource in order to lessen the taxes born by the citizen with the profits derived from it. But this must be done only in a limited way and in special circumstances. The State may also do this in relation to a certain type of wealth which of its nature would place the individual owning it in a position to dominate the State itself. The remaining goods belong to the private domain, and not to the public domain. A private proprietor may be an individual, a group, or an association of individual owners. Naturally, this doctrine and this terminology, which exist implicitly or explicitly in current language, are not those of the Program. The Program does not affirm the natural right of property given by God to man. It hypertrophies the collective property of social groups, transforming each of them into a totalitarian mini-state in relation to its members; and it calls self-managed property private, even though this be instituted – to a large degree imposed – and even regulated by the State as it wishes. In mid September, just as the writing of this Message was coming to an end, the Encyclical Laborem Exercens of John Paul II was published. The principal media of the West gave it widespread and favorable coverage. The Encyclical undoubtedly contains new teachings, not all of whose ultimate doctrinal and practical implications are laid out. b) In principle (and notably in modern conditions of economic life), it is legitimate and even preferable that the right of property be normally exercised by groups of persons instead of individual proprietors, thus better fulfilling its social function. This would be the “socialization” of property. b) that the socialized regime advocated by the French SP finds important support in Laborem Exercens. It would be painful for any zealous Catholic to shoulder the responsibility for these affirmations regarding the Encyclical of John Paul II, for they would have incalculable consequences in the religious and socio-economic spheres. Indeed, if one were to admit such opposition between the recent pontifical document and the traditional documents of the Supreme Magisterium of the Church, the theological, moral and canonical consequences would be innumerable. As Chapter II of this Message shows, the French SP affirms the logical connection between the self-managing reform of business that it advocates, and the reform of the economy in general, of education, of the family, and of man himself. For the French socialists these multiple reforms are nothing more than aspects of one single global reform. And right they are: “Abyssus abyssum invocat” – “Deep calls unto deep” (Ps. 41:8). One does not see how a Roman Pontiff could open the flood gates to the self-management advocated by French socialism and thus implicitly or explicitly support this global reform. “The socialists favor the principle of socialization of the means of production in all sectors where the socialization of productive forces has already become a reality. On the other hand, this means that small and medium-sized private enterprises will continue to exist, though certainly in a profoundly modified context, and with new obligations” (Program, p. 153-154). According to the socialists, one of the goals of “democratic planning” is to determine “how and to what degree the reduction of inequalities is brought about” (“Fifteen Theses,” p. 15). In other words, the government’s Plans, to be elaborated on the national, regional and local levels, will already aim at gradualist leveling. This affirmation does not include a worker’s ownership of his tools (an artisan’s, for example), or of durable objects he has acquired with his earning. But for the worker’s eventual heirs, this modest individual patrimony will be of little or no importance when one considers the limitations that the Program imposes on inheritances. “The question of inheritance…will be treated in the same spirit: strongly progressive [inheritance taxes] on large fortunes, but greatly reduced [taxes] on small bequests in direct line inheritance, permitting the transmission of the…family home…farm or shop” (Program, p. 154). “There can be no self-management in a capitalist regime: a private enterprise cannot be self-managed” (Documentation Socialiste, no. 5, p. 57). “Believe me, before long our descendants will regard private ownership of the key means [of production] of the national economy as a curiosity as out of place as the feudal regime now appears to us” (Statement of socialist deputy Jean Poperen, “Debates on the Declaration of General Policy,” p. 77). “One may consider that the maintenance of private property is a response to certain needs – especially psychological one – for security. “But we aim also at progressively developing other practices (leasing land to the tillers, automatic readjustment of the value of savings to the inflation rate, developing rental housing, encouraging family tourism to the countryside, etc. )” (Program, pp. 153-154). “The Socialist Party not only does not question the right of everyone to possess his own durable goods acquired by, or useful to, his work, but it guarantees him the exercise [of that right]. In turn, it proposes to progressively replace capitalist property with social property that may take many different forms, for whose management the workers must prepare themselves” (Statutes of the Party, Declaration of Principles, in Documentation Socialiste, supplement to no. 2. p. 48). “Tenure and guarantee of the land. (Program, p. 208). “The market will be organized under offices. These will ensure farmers a just remuneration for their work thanks to guaranteed prices, taking into account production costs within the limits of a quantum” (Program, p. 206). – They will have a permanent preemptive right [to buy] all land for sale. The lands so acquired may be either resold or leased to farmers who need them” (“Pour une agriculture avec les socialistes” in Les Cahiers de Documentation Socialiste, no. 2, April 1981, p. 20). “Contrary to what some want people to believe, these offices will establish neither collectivism nor constraint. There can be no good land policy but one which is discussed, agreed upon, and accepted by the different parties involved, farmers, local communities, and the administration. “It is therefore the farmers themselves who will administer the regional offices and coordinate land policy, discuss it together, and make decisions regarding the distribution and zoning of land desirable to maintain an active agricultural population and a maximum [number] of installations” (apud François Mitterand – L’homme, les idées, le programme, by Manceron and B. Pingaud, Flammarion, Paris, 1981, pp. 107-108). Just like the French socialists, the communists have the self-management of society as their final goal. In the preamble of the Russian constitution one reads: “The supreme objective of the Soviet State is the building of a communist classless society in which communist social self-management will develop” (Constitution – Ley Fundamental de la Union de Republicas Socialistas Sovieticas, October 7, 1977, Editorial Progreso, Moscow, 1980, p. 5). There is, therefore, no doctrinal discrepancy between communists and socialists on this point. A discrepancy appears only in their conceptions of the disappearance of the State. “Now then, to call for a more rapid disappearance of the State on the pretext of fighting bureaucratism and to proclaim, at the same time, the need to renounce state power amounts, in the [present] conditions of socialism while the capitalist world still exists (and what is even more grave, during the period of transition to socialism), to disarming the workers in the face of their class enemy. “The process of the extinction of the State cannot be accelerated by any kind of artificial measures. The State will not be abolished by anyone, rather it will gradually fade away when political power ceases to be necessary. This will be possible when the socialist State fulfills its historical mission, but it requires, in turn, the strengthening of political power. Hence there is no opposition between solicitude to strengthen the Socialist State and the perspectives of its extinction; they are two sides of the same coin. “From the standpoint of dialectics, the problem of the extinction of the state is the problem of the transformation, form the socialist State, into the communist self-management of society. Some social functions analogous to those now fulfilled by the State will subsist under communism. But their character and their application will not be the same as they are in the current stage of development. “The extinction of the State means: 1) the disappearance of the necessity of state coercion and of the organs applying it; 2) the transformation of the organizational, economic and educational-cultural functions now fulfilled by the State into social functions; 3) the integration of all citizens into the running of public affairs and the disappearance of the need for public agencies. “One does not adhere to socialism without a certain view of man, of what he wants, of what he is able to do, of what he must do, of his rights and of his necessities” (Program, p. 10). “The Socialist Party does not aim at self-gratification or at bearing witness to the beyond but rather at transforming the structures of society” (Program, p. 33) “The explanation of society…is one thing, the ultimate destiny of man another,” the Program affirms, as if anything could be explained without considering its end. But, under the guise of consolation, the program slickly adds, “to the degree that clericalism is erased, anti-clericalism loses its justification. This is an enrichment of laicism a not a precious acquisition of the socialist struggle over the last few years” (Program, p. 29). In fact, more than clericalism, it is the clergy and the Church that are thus “erased” in the Program. Catholics are frequently more sensitive to transgressions of the Law of God having to do with the institution of the family than to those respecting the institution of private property. So it is possible that some Catholic reader more or less complacent with the idea of self-management in business will try to imagine an application of the Program strictly limited to that field without touching the individual, the family, or education. But this would be an illusion, because the natural correlation between family and property makes such a separation impossible. The mere reading of this work makes it clear that business self-management as described in the Program is inseparable from its philosophical and moral foundations. Once accepted, these conditions necessarily affect all the aspects of human life. The pastoral Constitution Gaudium et Spes contains a quite synthetic description of modern atheism with various nuances. From this standpoint, it is useful to quote it here: “The word atheism is used to signify things that differ considerably from one another. Some people expressly deny the existence of God. Others maintain that man cannot make any assertion whatsoever about him. Still others admit only such methods of investigation as would make it seem quite meaningless to ask questions about God. Many, trespassing beyond the boundaries of the positive sciences, either contend that everything can be explained by the reasoning process used in such sciences, or, on the contrary, hold that there is no such thing as absolute truth. With others it is their exaggerated idea of man that causes their faith to languish – they are more prone, it would seem, to affirm man than to deny God…There are also those who never inquire about God; religion never seems to trouble or interest them at all, nor do they see why they should bother about it” (apud. Vatican Council II, The Conciliar and Post-Conciliar Documents, Scholarly Resources, Inc., Wilmington, Del. 1975, pp. 918-919). “To our understanding, collective is synonymous with grandeur, beauty, profundity and the joy of living” (Program, p. 157). “The whole movement of science fits into a permanent questioning of the postulates of the preceding phase” (Program, p. 135). “In our view there could be no knowledge constituted once and for all. Since it implies rectification and even continuous reconstruction of reality as we see it, knowledge can never be said to have been attained and must constantly be questioned” (Program, pp. 136-137). This position of evasive neutrality toward the elections was emphatically reaffirmed by Msgr. Jean-Marie Lustiger, the new Archbishop of Paris, when speaking about an open letter addressed to him. In this letter, published in Le Monde (May 10 and 11, 1981) a Catholic Action organization (the JEC, Catholic Student Youth) asked him to confirm or deny reports that he supposedly had taken a personal position in favor of the outgoing president. In his statement, the Archbishop expressed shock at the report, which he formally denied, and affirmed his agreement with the position expressed by the Episcopate as a whole on February 10 (cf. La Croix, 5/12/81). For the sake of brevity, the full text of the statements of the French bishops on the presidential and parliamentary elections are not reproduced here. A leaflet reproducing their complete text, transcribed from La Documentation Catholique, no.1803, 3/1/81, p. 248 and from Le Monde, 6/3/81, respectively, with an English translation, was available for $1.00 postpaid from the American TFP. In this document, the French bishops state: “Our pastoral ministry makes us witnesses to the evangelical imperative that animates numerous Christians in all social milieux, and to the hope which moves them as they participate in the collective movement of liberation, with those with whom they are or perceive themselves to be solitary in their daily lives. The bishops of the Commission of the Workers World, among others, have expressed this in the working document in which they inform us about the first phase of their conversation with workers who have opted for socialism” (op. cit., p. 88). “Obviously, this analysis in terms of ‘class struggle’ has helped many militants to define with more precision the structural mechanisms of injustice and inequality. We must also note that, to a greater or lesser degree, they do this taking as reference point elements of the Marxist analysis of class struggle. The well-known progressivist Catholic magazine Informations Catholiques Internationales (no. 563, June 1981) affirms: “Everyone agrees: one-fourth of those considered to be practicing Catholics are in favor of Mitterrand, and three-fourths are for Giscard …The fact that one out of four of those Catholics voted for Mitterrrand, and is of decisive political importance. Many more than a million votes went to swell the camp of the left. Now…if only half of these Catholics had voted for the outgoing president, it would have been enough to reelect him. Francois Mitterrrand owes his success to, among other causes, the movement that led part of the Catholic to the left.” Not that the magazine singles out only the “practicing Catholics,” One should ask how many baptized by non-practicing Catholics who consider themselves Catholics could have been influence by a firm and enlightening word form the bishops and this have refused to vote for the socialist candidate. In pointing out the reason for Mitterand’s victory, prestigious organs of the press, whose testimony in this mater is not suspect, comment that the most significant advance of the left took place in the Catholic provinces of Western, Eastern and Central France. (cf. La Croix, semi-official organ of the Archdiocese of Paris, 5/12/81; L’Express, 5/5-11/81 and 5/12-15/81, and even L’Humanité, official organ of the Communist Party, 5/ 15/81). Furthermore, as the Program joyfully notes, Catholics not only vote for the SP but even join it, apparently without any major problems of conscience: “The Socialist Party has always aimed to gather, without distinction of philosophical or religious belief all workers who find in socialism their ideal and their principles. So there are more and more Christians who not only join the Party but adopt socialist [methods of] analysis themselves without thereby renouncing their faith…” (Program, p. 29). This fact, by the way, is public and notorious in France. “– Are they among the grassroots militants? “– Yes. But also in the national leadership and in the local executive boards” (Francois Mitterrand, Ici et Maintenant – Conversations avec Guy Claisse, Fayard, Paris, 1980, p. 12). Therefore, the bishops’ failure to enlighten these Catholics is entirely inexplicable. “Nevertheless, at the end of the century, Leo XIII in Rome and the Sillon among us began the turnaround. The First World War accelerated the evolution. The camaraderie of the front, death everywhere and for all, the country in danger, taught everyone to recognize in each other the colors they subscribed to, even if their laicist or religious translations remained different, if not antagonistic. The initial appeal again rose up from the depths of the Church and the Christian world. The personalism of Emmanuel Mounier finished giving Christian socialism its title of nobility” (op. cit., pp. 14-15). 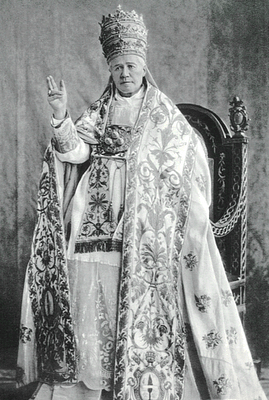 In the face of this historical panorama painted so much in accordance with socialist taste and style, but unfortunately not lacking many elements of truth, one would expect the French bishops to imitate the mettle and courage of Saint Pius X, who in his Apostolic Letter Notré Charge Apostolique of August 25, 1910, vehemently condemned the Sillon movement (cf. footnote 4) so reverently recalled by Mitterrand. “There could be no socialist program for France alone. The dilemma, ‘liberty or servitude,’ ‘socialism or barbarism’ is one that goes beyond our country ” (Program, p. 108). “The Socialist Party is a Party at one and the same time national and international” (Documentation Socialiste, supplement to no. 2, p. 50). “Socialism is international by nature and vocation ” (Program, p. 126). “The Socialist Party adheres to the Socialist International” (Statutes of the SP, article 2, in Documentation Socialiste, supplement to no. 2, p. 51). “The moment it no longer identifies with a universal message, France ceases to exist. France is either a collective ambition or it does not exist” (Program, p. 163). “France, therefore can be the pole of attraction of a new internationalism, (Program, p. 164). “A country like ours…has immense possibilities for carrying high and far, in Europe and in the world, the universal message of socialism” (Program, p. 18). “France will contribute to the democratization of the [European Economic] Community, it will use its institutions to favor directing social struggles toward a common goal” (Program, p. 352). “The Socialist Party…aims at a socialist transformation of international society” (Resolution of the Congress of Nantes in 1977, in Documentation Socialiste, supplement to no. 2, p. 130). “Socialism is either international by nature or it denies itself” (Documentation Socialiste, supplement to no. 9, p. 153). “The search for the autonomy of our development is inseparable from the international perspectives of self-managing socialism. In guiding our action abroad as well as inside our borders, it bases our participation in international cooperation on solidarity with the exploited classes” (Program, p. 339). In this regard, it should be remembered that Mitterrand is one of the vice presidents of the Socialist International (cf. L’Express, May 22 to 28, 1981). He is also a founding member of the International Committee for the Defense of the Sandinist Revolution (cf. Le Figaro 6/26/81). This makes it easy to understand how Comandante Arce, of the Sandinist National Liberation Front greeted Mitterrand as “a militant of the Nicaraguan cause” and a “friend of the Sandinist revolution” whose victory in France has “an immense political value in Nicaragua and Latin America” (cf. Le Monde, 5/13/81). On the day of his inauguration, Mitterrand chose to pay homage, with a luncheon in the Elysee Palace, to European socialist leaders and chiefs of state, as well as to representatives of the Latin American left. At his express desire, the widow of Marxist ex-president Allende sat at his right (cf. El Espectador, Bogota, Colombia, 5/24/81). As President, Mitterrand declared France’s support of the fight of the Salvadoran people as an “urgent priority” and he promised to help Nicaragua “in its difficult job of reconstruction. Latin America does not belong to anyone. It is trying to belong to itself, and it is important that France and Europe assist in the realization of this goal.” Mitterrand declared (cf. Jornal do Brasil, Rio de Janeiro, 7/19/81). Thanking Fidel Castro upon receiving his congratulations, Mitterrand sent him a telegram expressing his joy at the personal ties uniting him to the communist tyrant and manifested his hope to “strengthen the friendship between France and Cuba” (cf. Le Monde, 6/3/81). Confirming that intention, Antoine Blanca, personal assistant of Prime Minister Mauroy and the man in charge of relations between his Party and Latin America and the Caribbean, declared that the French SP will not tolerate any aggression, economic blockade or discrimination against Cuba (cf. Folha de São Paulo, São Paulo, 7/27/81). More recently, the French and Mexican governments signed a joint communique categorically supporting the “Farabundo Marti National Liberation Front, guerrilla organization made up of five Marxist groups working to overthrow the regime in El Salvador. The communique, released simultaneously in Paris and in Mexico, was delivered to the UN for distribution among member countries (cf. Folha de São Paulo, 8/29/81) and provoked a strong reaction from twelve Latin American countries, which declared the attitude of France and Mexico a “flagrant interference,” in El Salvador’s internal affairs (cf. Jornal do Brasil, 9/4/81). This entry was posted in Books, Statements and tagged barrier, bridgehead, center, Communism, corporate, Corrêa, de Oliveira, dialogue, double, economic, Episcopate, Family, France, French, future, game, goal, government, illusion, inform, left, life, man, message, Mitterand, Pius, Plinio, program, radical, reform, regime, religion, revolution, right, Saint, self-managing, socialism, society, socio, style, TFP, vote, worker, world by Plinio Corrêa de Oliveira. Bookmark the permalink.